Guest post: Helen Graham – How should decisions about heritage be made? Helen Graham’s project raises a number of interesting issues in relation to cultural value. Like Andrew Miles’ post last week, Helen’s entry draws attention to the problem of legitimising knowledge which renders decisions concerning cultural value a prerogative of ‘elite (and often unelected) decision makers’. This legitimising discourse can persist unchallenged because of the elusive promise that one day its conception of cultural value will be vindicated by finding the Holy Grail of the missing evidence or methodology, which will ‘prove’ its claims about cultural value now and for all. By challenging this discourse and its preconceptions, How should decisions about heritage be made? 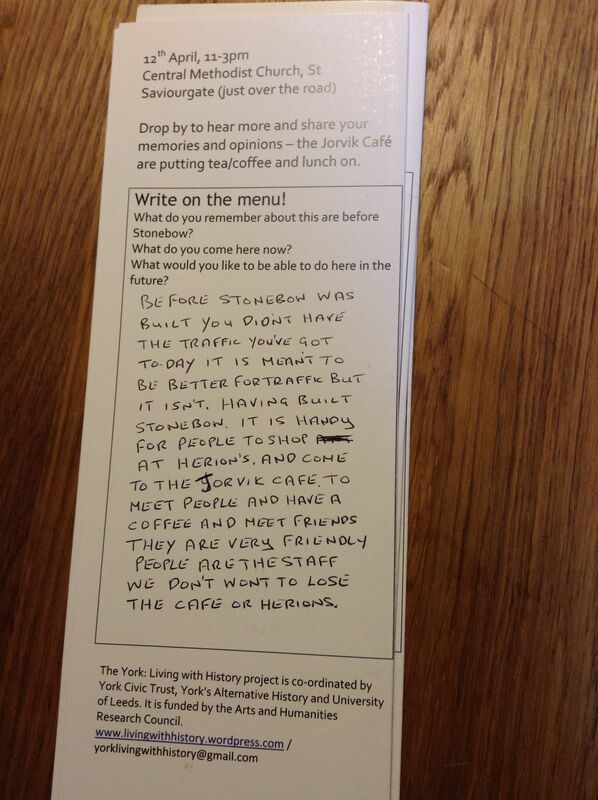 speaks to the Cultural Value Project in a number of ways. Firstly, it echoes our conviction that the notion of cultural value must reflect what people actually consider to be of cultural merit in addition to, or sometimes independently of, the canonised main stream. Secondly, it aligns with our belief that there’s no silver bullet – no single methodological innovation, nor single piece of data that will validate one supreme manifestation of cultural value. Indeed, recognising this, in the Cultural Value Project we have adopted a framework-approach spanning a number of irreducible components of cultural value calling for different methodologies and forms of evidence. We are therefore glad to welcome Helen’s challenge to consider ‘the question of the value of culture or heritage not as bound up with a deficit of evidence but much more with a deficit of democracy’. Perhaps the greatest dangers of the Cultural Value debate is the sense of ‘cultural value’ being primarily an epistemic problem. While the AHRC Cultural Value project has created space to explore and challenge this persistent sense of an evidence lack, there remains a seductive desire that if only we could find the right piece of data or the right methodology then the value of cultural could be proved once and for all to policy makers and funding for culture and arts forever secured. In its most dangerous iteration this ties together a particular form of knowledge production ‘about the value of culture’ to a particular set of elite (and often unelected) decision makers. 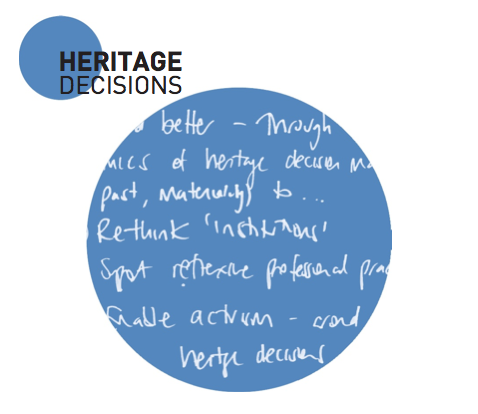 You could say the ‘How should decisions about heritage be made?’ project approaches the question from the other direction – seeing the question of the value of culture or heritage not as bound up with a deficit of evidence but much more with a deficit of democracy. ‘How should decisions about heritage be made?’ is funded under the AHRC Connected Communities programme. 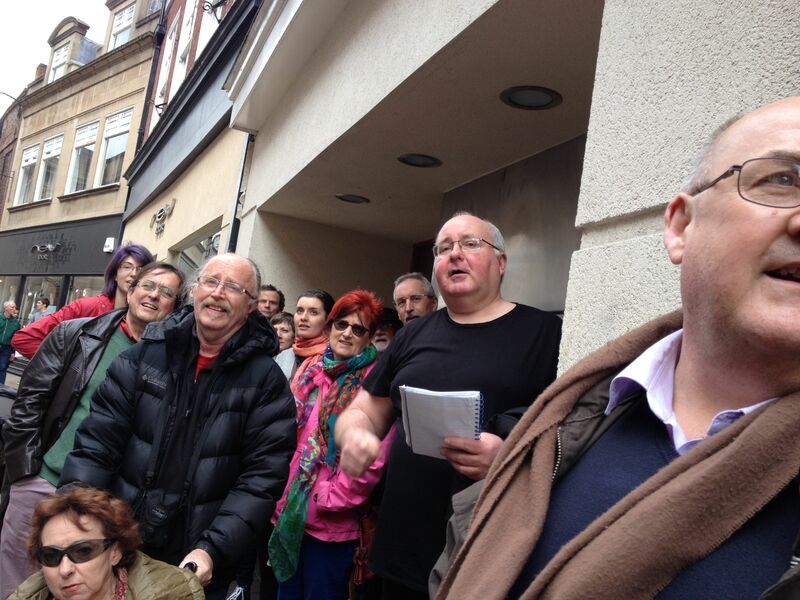 The project is part of a pilot programme ‘Co-Design Development Grants’ which offered funding in two phases. The first being a four month period of collaborative working and ‘co-design’ leading to a research project plan, followed by a second phase of funding which supported us to carry out our research. Our co-design work was premised on ideas of plurality of perspective, with our team being made up of people who work in, or engaged with, heritage in quite different ways. Our understanding of heritage has been to emphasis that it is part of life, our everyday and as ‘ordinary’ in Raymond William’s sense. Our conceptual interest has been to see heritage as part of wider and complex systems of constant and ongoing interaction between people and things. Our methods have been of experimentation and action, from active reflections on practice, to undertaking collaborative collecting of electronic music with fans and music at the Science Museum to engaging our research questions at a city-wide level in York. If you’re interested in how we designed our project and what we’ve done have a look at our booklet produced for the July 2014 Connected Communities Festival and our project blog. But rather than offer lots more detail on what we’ve done I want instead to share our work around two concepts that speak directly to the politics of cultural value. From our first co-design workshop – hosted at Bede’s World in Jarrow – we recognized the political problem generated by ‘heritage’ lay in its rather un-ordinary claims; that ‘heritage’ is ‘for everyone and forever’, for all of humanity and for posterity. A key strand of our work has been to suggest that this task is too big and, because it is impossible to involve everyone now and everyone in the future democratically, decision making has become about knowledge and expertise exercised ‘on behalf of’ us all. This has served to put a lot of power for determining what is significant and important in a small number of hands. One idea with which we’ve been experimenting at the Science Museum and in York is that specific collections, ideas or buildings generate around them their own democratic constituencies. Two things are enabled by this which reconnects knowing, politics and life. Rather than hold people at arms length in the name of the greater good (if everyone can’t touch an object, then no-one should’), we’ve been trying to think about 1) anyone not everyone; to create meaningful communities who can manage, look after, know about and decide about specific collections, buildings and places and 2) the future comes from now; a more meaningful future for collections and places can emerge from present day use and passion. We don’t need to ‘know better about’ what the public value is so better decision can be made by professionals; instead communities and constituents can live and act through collections, buildings and places – and from this let a more democratic decision making emerge. 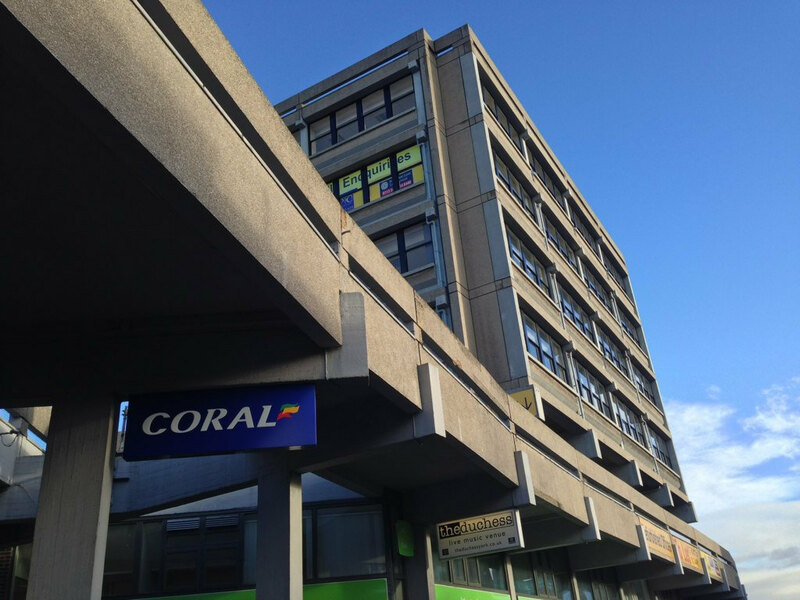 A strand of the project has focused on Stonebow House a brutalist building in York. We’ve been using stalls, history menus, facebook discussion and events to see how a constituency might be developed around the building.